While some might say they were not satisfied with the Christian life, I cannot really relate. Exposure to the mainstream religion of Christianity was not an option as my father had a severe distaste for their beliefs. I will not say I had the opportunity to become a Witch right away either though. I guess spirituality was just not an importance in my growing years as far as my family was concerned, or they felt it was a decision only to be decided as an adult. My father was in the zone of reality and fact. My Mother on the other hand was a people pleaser and refused to discuss religion with anyone except to nod in agreement to avoid discussions. As long as I can remember my Father instilled upon me that harm to myself or anything else living which included nature would be an act not forgiven and punishable by repayment that I would never want to see. Growing up and learning about all living things reminded me of attending science class yet the teachers would never change. I have lived with everything from monkeys to gerbils and those experiences taught me an appreciation for creation in which I have never forgotten. This experience was fact and my Father pushed for me to see the world good and bad. They used to call my Father Dr. Dolittle because he talked to the animals and plants as well. I had always felt an empty space for spirituality and so as I got older, I spoke with my father whom I was closest to and I finally asked, “What religion do we practice or believe in?” I will never forget that day. My Father stated very seriously, if any one asks let them know we are animists. Looking very confused, my Father began to explain. We are not Native American although they are the true people of this North America and I am ashamed of what the supposed Christians did to these people. We are of Irish and French descent carried over many years by boat, we had terrible times including the great potato famine. My Father continued to say he worshipped silently and believed every woman needed a man and every man needed a woman, just like there are the same aspects in most of nature to continue life. Religion he stated was how you lived your life and that if he did right his life would not stop by death. I left that conversation feeling almost complete. Even though I had my share of fallbacks and sometimes harmed my self by entering bad relationships and wrong decisions, I kept most of what we discussed close to my heart. At fifteen, I fit in more with the drug crowd at school everyone else I thought were to righteous and stuck up. I had friends reading Aleister Crowley and dabbling in some sort of occult activity. I borrowed their books and felt curious but it was still too dark for me. In 1984, when I turned eighteen I moved to Lewiston, Maine with my wild boyfriend. There was Witchcraft, white and black all around. Old shut down churches homesteaded by occult activity and it was in the papers daily. I met a white Witch who was very kind and told me I had a gift but not to follow through until I was ready to be serious. Just apartments down from us a guy sacrificed his girlfriend’s youngest child in the oven propping a chair at the door and made the other two older children watch while listening to some dark music, the neighbors call the fire dept. to report smoke. This incident was in the media and scared the wits out of me. I did not want accusations for such happenings so I stayed silent about my interest in the occult. I was also scared of introductions to weirdos who were into such acts of violence. In 1990 when I moved in with my sister in St.Augustine, FL., everything seemed to have changed including the outlook on the occult. There were New Age shops opening everywhere. I found a metaphysical bookstore called “Dreamstreet” to which as soon as I opened the door all my stresses seem to leave my body. I felt addicted in a sense and I visited often sitting in their hammock reading about Goddess worship and alternatives to the mainstream religions. The smell of Nag-Champa in the air, the sweet acoustical music and the soothing voices of the merchants made me feel welcome and at home. I purchased my first “Green Egg” magazine there and my first bumper sticker that read, “God is coming back and she is pissed”. I guess that is my first real connection with Witchcraft. I studied solitaire and eclectic, reading Buddhist and Hindu cultures to really be sure of what was right for me. I was very intrigued by Tarot cards; Runes and I would by smudge bundles for cleansing just to feel I was on my way to what would soon by my path. I transferred in 1992 to Georgia where I reside now and it seemed right away rude awakenings were coming. No one ever asked if I went to church, it was always where do you attend church. I felt alienated until meeting my soul mate. I met my now husband who had previously been brought up Salvationist until he was eighteen and made the decision Christianity was not his path either. Together we went to major bookstores and purchased books like Buckland’s big blue book and several Celtic related Witchcraft books. I often hear Witches condemn Llewelyn publications for being too commercial but without them Witchcraft would not have been as open to us as it is today. Our library has grown and we still travel every year to St. Augustine to fill my void of my bookstore and I still buy and stockpile smudge bundles for later use. This year we weren’t able to make the trip and Dreamstreet’s Web site is gone and the number is disconnected, to which makes me very sad. I hope it is just an incident where the names changed or they have just moved. My husband was an intern after college and was a computer guru so when the Internet became available we started networking and trying to find as many resources as possible. We followed The Witches’ Voice when they were in Massachusetts and kept with them during their move to Florida. Not to be biased but they have always seemed to be the most thorough in helping find others and keeping updated with Pagan news. Today we worship together and offer a small study group to help people in this area that of our same lifestyle. We started “The Southern Circle of the Willow Moon” in 1997 with six members and although the members have changed, the beliefs and teachings are still the same. We learn from each other, we are not experts as Witchcraft is a lifelong path of learning and experiences. There are severe persecutions still existing in our area and no doubt in other strong Baptist areas as well. We will continue to travel to places where we can be free with our religious beliefs, find people who feel the same as we do and try and educate people on what Witchcraft really is. I recommend anyone starting out on this path begin by study. I know it can be boring but some knowledge is better especially when seeking teachers. When I go to a bookstore and a teen comes up and starts telling me how long the have been into Witchcraft and what books I should or should not get makes me believe they are going through a self-esteem and identity crisis. I want no part of the person playing games with their spirituality. August 21, 2012 will be a day I will not forget… I was driving home from work and it was storming out. This isn’t unusual for Florida this time of year. It’s the Wet Season after all. Constant flashes of lightning and scattered walls of rain make the highway slick and dangerous, even for the most experienced Florida driver. But something was unusual this time. Something didn’t sit quite right. “Are you okay? I had a feeling.” She said with that worried tone in her voice. She called me at work, and asked if I was doing all right because she sensed something. I wondered if she was feeling anxiety because we had quarreled recently. Or perhaps she was just worried because I drive an hour everyday from work to home, and due to the incumbent weather it could prove dangerous. I assured her I was fine. I told her that I loved her and I would see her soon. When I left work, I left a bit earlier than usual. I bid my co-workers safe journey and that I would see them the next day. I texted my husband – with whom I have been with for 13 years as of this writing – that I loved him and informed him that I was on my way home. I lived with him while my girlfriend remained at her own apartment. I remember being thrown from the driver’s seat to the passenger seat, smashing into the window and door. Instantly I was knocked out. I woke up, dazed, my head beneath the glove compartment. I was upside-down, and rain with mud and water was coming into. I could taste it. I tried spitting it out, but my head kept falling back in. I passed out, taking in the muddy water. The next thing I knew, I woke up supine on the ground in shock. Ordinary people – Good Samaritans – stopped and pulled me out. Six or seven large men, all strangers one to another as far as I knew. I recited my husband and girlfriend’s names and phone numbers over and over. Someone did. I was told they put the phone to my ear and I assessed myself medically. It’s in my training; I am a Medical Assistant after all, with plans to attend medical school. Then the paramedics arrived, and off I was rushed to the emergency room. No broken bones. No fractures. No cerebral bleeding. Just a brain injury. Is it minor? Not sure. But I had one: a traumatic-induced brain injury. -It’s karma because he is a bad leader. -It’s a psychic attack from his haters. -It happened because he is not a Christian and therefore the devil tried taking his life. Jesus saved him and one day he will know it and come back to the fold. -It happened for a Cosmic Reason, and I would know why later in life at some point. How many of us have experienced bad times, only to be told by others that our unfortunate situations were because we offended the Cosmos or because there were people out there willing it to happen to us? How many times have we set up wards, protections, and banishings only to still work on wondering where our next meal is coming from, how we’re going to pay the light bill, or when our Religious Community will finally stop infighting and start working together? How many times have subtle criticisms been made implying that we must have deserved our plight? The implications were perhaps not by those closest to us when tragedy strikes, but very much so by our detractors. The truth was that it was simply an accident, and the decision lay with me on what my next move was. Indulge pejorative feedback, or find the inner resolve that I know I am blessed with from my ancestors and fight to get back on track? 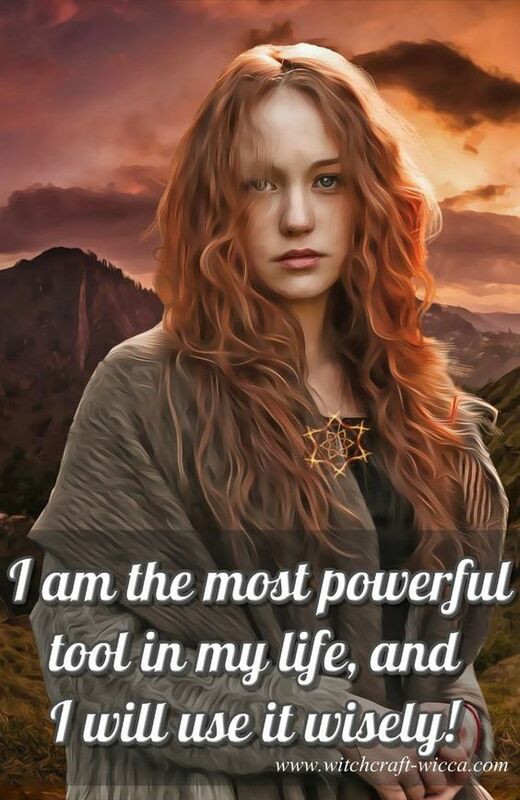 I decided that my Pagan faith equipped me with the fortitude and grace to know that within myself was the answer to what I was seeking (Charge of the Goddess anyone?) . I also had this religious bedrock to lean on to assist me in the depression and anger that was surely to come from enduring such a traumatic and stressful event. You see, many times I sit and wonder how my Pagan faith can become an organic means in my daily life. Away from the tools, away from the shrines, and away from the material things… back to spiritual basics, I say. In my particular Traditional branch, we work heavily with the ancestors. We constantly question such as, “What have they to teach me, ” “How am I a part of them, ” “What is it that I can carry on that they have passed to me?” In this critical moment, I knew that I was granted not only a blessing in walking away from this terrible accident that claimed my vehicle as its only victim…I had an opportunity to honor and make proud my ancestors in using the Inner Resources of the human spirit that millennia of evolution and growth blessed me in my very veins. Further encouragement came from my immediate spiritual Community, my loved ones, my friends, people on Facebook, as well as my familial relations. But something wonderful also happened in turn. While I was in the hospital and in rehab, I found myself in the company of people who were asking questions (randomly!) about spiritual guidance in their personal lives. I was blessed to chat with many workers and senior patients about overcoming trauma through faith. Our religion forbids proselytizing. Our faith is for those who are Seekers. Paganism calls out and waits patiently, but even if one never fully espouses the term “Pagan, ” there are still many similar Universalist tenets that can be found in all of the world’s religions. No one path is the Truth. We are all on the same journey. So the best that I could do was to speak the liturgical language of the workers and the patients in their faith, and assist them as best as I could. (Incidentally, this is why I strongly believe all Pagans should be cross-trained in other faiths, and why my Temple may turn people away who are use anger at one religion as an excuse to join another) . Some of you reading this may believe that perhaps that was the reason why I had the accident – to minister to souls in need of it. Perhaps you are correct. Who knows? But for myself, I would rather see it as taking the opportunity that presented itself and making the most of it. Honoring my teachers, my faith, and my Community – this is what I believe with all of my heart. I don’t indulge in the questions about why my suffering happened. Rather, I focus on the Path of Gnosis itself. Crisis moments will happen in life when we least expect it. We will all experience tragedy, whether we like it or not. Life is suffering, this much is true. But, we have been granted the ability to rise above our suffering, not as if we are perfected saints, but to be heroes – to be more than what we are. It is within us, and it is what has allowed the wonderful spirit of humanity to come this far in such short a time. Yes, humanity has its faults in such progress. But that is evolution for you. And that is also the Gift of the Gods. Pandora could choose to keep the jar closed and have humanity enjoy eternal bliss, but never learn. Always remain stagnant. Or, she could break open the jar and release Suffering into the world. If She did this, although it would cause Her endless grief (for what rightful Mother could stand to see their children suffer?) , humanity would grow beyond their capabilities. They would exceed the Visions of the Gods Themselves, and the Age of Heroes would dawn. Heroes: men and women who, through self-sacrifice, courage and bravery worked to better humanity in times of great Crisis. And so Pandora smashed the jar. Tragedy tears us down. Suffering is inevitable, and it hurts. But as I teach, our Craft was born because of suffering. Manifesting our intentions, sharing our dreams, and connecting with Community in shared Visions are all wonderful exemplars of how we use the Gift that the Gods gave us long ago. When I was in the hospital, in shock and in tears, my Family and Friends cried with me. When I was down, they were there to lift me up. In other words, they fanned the Secret Flame when I couldn’t. As a result, it brought us closer together. It is my prayer that such closeness can continue in our Community, and in others as well. We all spend too much time fighting amongst ourselves, rather than focusing on the obviousness: none of us have it right. We’re all in this journey together. We are all a living Community of fragile people who, at some point or another, will need each other when those dark times are upon us. We will all need encouragement in our faith in times of crisis. As I sit here at home and continue to heal, I am reminded of this everyday. The above mythos, as I stated earlier, is preserved in my Tradition and is obviously a very different take on the “Pandora Myth.” But synchronicity has a way of confirming the Timeless Truths within myths. Interestingly enough, I had a nurse in rehab named Pandora. Coincidence? You decide. During the dark time of the year, a single candle in the darkness makes a much greater impact. It is easy to get down on ourselves and become discouraged when times are tough. Despairing like this though makes it easy to throw up one’s hands with a big “I can’t”. Complacency is of now use. I ask myself, “What did I do today that made a difference” “How did I make headway, however small, toward progress?” My favorite home organizer, The Fly Lady, loves to say “Progress, not perfection!”3 How true is this axiom? Perfectionism is a fallacy. It is a part of the religious thought that exhorts us to throw off pleasures of the flesh and our Worldly nature and seek the perfection of the divine through transcendence. Yet, in a Pagan viewpoint, the Divine is immanent and the World is our Kingdom. We are imperfect not through fault of our own, but the design of our limited perspective. This is not something to feel guilt or embarrassment over! Our imperfect nature means that we should never expect to know it all, or be above having accidents or making mistakes. We will never be perfect and shouldn’t be disappointed when we cannot reach perfection. This is liberation of what the pagan path offers us! The unseen worlds exist around us whether we can ascertain their nature or not. The more we know of energy, magick, people, energetic health, the spirit worlds, and how we fit into the big picture the more effective we can be in our lives. In this way, we can thrive. Therefore, “being a star” is not just a pleasant saying, but can be used as an active paradigm in your life. Do you burn as the core generator in your life or do you pretend you are a comet, cold and burning at an obtuse angle to the rest of creation? Do you work with your Universe or ignore the laws of physics? For, as Aristotle wrote, his treatise called Metaphysics4 was not something separate from the study of physics but just his next work after his other work dubbed Physics for metaphysics literally means “after physics”! Our bodies are our temples. If there were one truth of divine immanence, the aforementioned would be it. It’s also one of the hardest things to do. Keeping up with a proper diet, exercise, listening to your body’s wisdom, doctor visits, it all takes a lot of attention and diligence. I find that when I exercise, my energy, mental focus, even healthy food cravings repay me in spades for the rest of the day. On the other hand when we don’t reeve up the engines in the morning and don’t fuel ourselves properly, we cannot work optimally. This goes for the higher planes and subtle bodies too! You have to start at the bottom and work your way up. The root of our existence in this world IS our physical form. The better it functions the better you can function. This one is simple. Everything you come in contact with in the universe you are interacting with. You have decisions to make about how you affect people and things around you. In the craft, we learn that we are responsible for everything we do. You are making choices whether or act or not. Do you want to act as if you can affect things to the good and make the world a better place? You in fact can make quite the long-term difference if you do little things all the time. It’s amazing what a positive attitude, friendly demeanor, and attention to people in your environment will do. Everyone has bad days. Just think about how easily it was to despair or become cranky and irritable the last time you were sick. People suffering from illness battle this all the time. It’s our responsibility to decide how we react to others and how we speak and treat people. This idea expands to those who had abusive upbringings, suffer from addictions of all sorts, and may be in horribly trying situations in their lives now. You don’t know the whole story. You can choose to not make it worse. Don’t buy into others bad behavior. You’re the solar center of your universe, remember? You have more sovereignty than that. Even with activities, like my job that aren’t exactly the cat’s meow, I ask myself, “How can I be consciously aware? What can I learn from this”? People who know me marvel that I am willing to do the incredibly tedious and minute tasks for 8 hours a day while I’m at work. I look at it as a challenge for mental focus and discipline. Hey, if I can scour legal language all day and plug it into a spread sheet for hours straight, I’m more likely to be able to not be distracted while in an intense ritual. It’s easy to pay attention to things you enjoy, even if they are strenuous. I pay attention to the sky and weather and animals I see on my drive to work. I watch the colors and smells and consistency of my food when I cook and eat. I really try to connect with people in my life and listen and understand them. In this way, everything we come in contact with gives us the opportunity to be spiritual beings and have magickal acts every moment of our lives. With opened eyes to the subtle realms there is no turning back. Fantasy no more, now the world of dreams and visions is all too real. I am a Star in the center of my universe, powering and fueling all of the life and movement around me. I am in the Kingdom already, crowned a Star. In this way, I am divine. In this way I choose hope, and progress, and life. I seek to make a difference, however small, every day to come more into balance and into harmony with my life’s purpose and the natural order of All things. 2 “May you live in interesting times” When times are not interesting they are happy and fly by and do not make history. How Pagan is “Pagan Enough”? A couple years ago I attended a Pagan pride celebration as a workshop presenter. I won’t mention the name of the city, but will tell you it was in the southern part of the country – which means that even at the end of September the temperature was expected to hover near one hundred degrees by the middle of the afternoon’s events. Consequently I dressed my family, including my then 18-month-old daughter, in shorts and t-shirts. Silly me, I thought the attire was perfectly appropriate for the heat and the event. Apparently I did not get the memo that “appropriate attire” for a beastly hot Pagan Pride event was flowing skirts (at least for the females) , glitter, and faerie wings and/or fuzzy cat ear headbands. Ordinarily this wouldn’t bother me, but a few days after the event I received a nasty email from one of the other attendees wanting to know how I *dared* show my face, much less present a workshop when I clearly wasn’t “Pagan enough” (the e-mailer’s words) to be there. My fellow attendee even went so far as to ask me how dare I call myself Pagan. Ever since then I’ve spent a lot of time looking at my fellow festival or Pagan Pride attendees, comparing my appearance to theirs. Shallow? Yes. A sign of low self-esteem? Maybe, but I do it anyway. And what I’ve discovered is that, for the most part, I just don’t look particularly Pagan. For one thing, I recently cut my hair after several decades of wearing it mid-back length in an effort to look more professional for my post-college job search (it didn’t work, and now I’m kinda stuck with short hair, but that’s another story) . Worse, I’ve even allowed my daughter to have hers cut just as short – and what kind of Pagan mom allows her child of either gender to have above-the-shoulder-length hair? It seems to be an unspoken rule that Pagan women have long hair. Does short hair make me not “Pagan enough”? *I* don’t think so, but judging by some of the looks I receive when I’m out in Pagan public, I’m guessing some people do. I also prefer baggy jeans over Indian print skirts, t-shirts (admittedly ones with folk music, Celtic or Pagan motifs, or plain old-fashioned tie-dye) over peasant blouses, sneakers over sandals (Birkenstocks excepted) , daily showers over regular patchouli oil spritzes, and the only person in my family who owns a fuzzy cat-ear headband is my daughter. I also wear my religion-identifying necklaces tucked inside my clothes unless I’m in ritual. Not only am I in danger of ending up on an episode of “What Not To Wear, ” I could be ticketed by the Pagan fashion police any day now! I heard a story once (and I can’t remember the source, to my chagrin) from someone who attended an indoor Pagan festival like Arisia or Pantheacon and wore business casual clothes – khaki pants and a button-down shirt – one day. Sad to say, this person received a lot of odd looks, and even reported that fellow attendees were very cool and standoffish, giving definite “You don’t belong here” looks. The next day, according to the story, the attendee appeared in more Pagan-y attire. Needless to say, the reaction of the rest of the conferees was much more warm and welcoming. If we as a religious movement believe that one of our tenets is Respect Another’s Path, the standoffish Pagans at this event were clearly the ones who were not “Pagan enough” – despite their attire. Speaking of paths, I also started to take a very close look at my own – something I was also asked about at that same Pagan Pride day. Apparently my reluctance to answer (topic for another essay: where I come from, asking someone specifically about their path is usually considered rude) and my not-very-eloquent answer wasn’t good enough. My angry e-mailer took me to task for that, too. I guess compared to an Asa Tru Corellian Reconstructionist (the e-mailer, near as I could tell) , yes, my spiritual path is probably pretty dull. But who is to say which path is “Pagan enough” and which path is not? If I serve a specific dog-connected deity by caring for and training my beagle, is that more or less a Pagan activity than organizing a weekly drumming circle? What if I’m a pretty decent dog owner/trainer and a lousy drummer? Does that make me not “Pagan enough”? It shouldn’t. But sometimes it feels like it does. I have to admit that I’ve accused others of not being “Pagan enough” in the past. Back when I lived on the East Coast, ran or co-ran a major Pagan festival, led a coven, attended the monthly Pagan coffeehouse/concert on a regular basis, and held office in the local Pagan umbrella organization (that oversaw the major festival and coffeehouse/concert) I often thought that anyone who was not as active in the community as I was couldn’t possibly be “Pagan enough.” I was convinced of this…until I moved away from the East Coast to the Midwest – a part of the country that has a much lower concentration of Pagans than what I was used to. I literally had to rethink my definition of “Pagan enough” overnight. When there is no festival to organize, when there is no coffeehouse to attend or community offices to run for, is Bronwen still even Pagan, much less “Pagan enough”? Of course the Pagans I then met who didn’t include so many – if any – open activities in their spiritual life probably wondered the same thing about me, only in reverse. After all, just because I’d been invoking the four directions for decades didn’t mean I had the first clue how to actually *use* those directions to, say, drive to someone’s house (“Turn north at Vermont Street.” “Is that left or right?” “It’s north.”) . I got lost a lot. And which, ultimately, is the more Pagan activity – attend a concert in a city with too much light pollution to see the sky or spend five minutes in the middle of a small-town street admiring every star in the galaxy because you can actually *see* them? Either way you choose, you won’t be “Pagan enough” for someone. Trust me. Just because a person chooses to dress or participate to a different standard than you’re used to or you think appropriate, stop for a moment and wonder why. I’ve worn loose, flowing skirts and peasant blouses and, yes, patchouli oil and glitter at Pagan gatherings back when I was a) single, b) child-free and c) younger. I can still “dress the part” with the best of them – when I choose to, and sans faerie wings. But the previously-mentioned Pagan Pride Day was in a rather large city a couple hours from the small town I was currently living in, and my family had made plans to do some “big city” shopping after the event. I know I’m not the only Pagan who shops at Sam’s Club and Petsmart, but I see no need to advertise my religion in these places. Does this make me not “Pagan enough”? In short, my fellow Pagans, if you’re an Asa Tru Correllian Reconstructionist, don’t snub the Neo-Wiccans you meet (conversely, Neo-Wiccans, don’t snub the Asa Tru Correllian Reconstructionists) . If you’re comfortable wearing a suit to ritual, it doesn’t mean you’re any less a Pagan than the person next to you wearing a black crushed velvet cape. The only person who can judge whether you’re “Pagan enough” is you. With confirmation from your God (s) , of course! How Do You Know A Magical Working “Took”? I ran across this question on a Pagan forum the other day, and it got me thinking back to when I was new at all this ritual and magic and witchcraft stuff – was that really half a lifetime ago? – and so unsure of my ability to do even a basic working. Fortunately for me, the Gods I chose to invoke were kind, patient, and tolerant of my novice fumbling, as were my teachers and fellow students. There are actually several ways to know whether or not a ritual or a magical working “worked” or “took.” Some are immediate; some are long-term. In general, sabbat observances and celebrations don’t have the success bar set very high. If you feel like you’ve “done” Litha, or Mabon, then that’s good enough — whether you’ve participated in a three-hour ritual or simply prepared a satisfying barbecue in the back yard for your friends and family. The first (and sometimes only) indication you have that your spell or ritual was a success is to ask yourself: How do I feel? Do you feel better than you did before the ritual started, or do you feel worse? If you feel better, i.e. less worried, less frightened, more confident, more energetic, calmer, happier or whatever then, at least on some level, the magical working was a success (I’m assuming no one is stupid enough to actually do a working to increase worry, fear, low self-esteem, lethargy, nerves, or sadness) . Paganism and Witchcraft do have one thing in common with all other religions, and that is to offer comfort and a life raft to the practitioner in times of troubled waters. So if you’re done with your spell or ritual and you feel better, that should that tell you something. Also, sometimes you just know. There’s almost an audible “click” that means, “Message received. Action forthcoming.” In fact, it sounds a lot like the “click” you hear when you meet someone for the first time and then say to an old friend, “I don’t know, we just clicked!” That click. If you aren’t already, you should start keeping an informal log or journal of what magic and rituals you do when, and what result (s) you hope to achieve. For one thing, it’s a good idea to keep track of what happens. Say you do a magical working for an easing of financial difficulties. You write it down in your log and forget about it. Three months later you look back and realize that, since you did that working, you’ve gotten a small raise at work, a nice tax refund from the federal government, and all of your Pagan 101 books that you posted for sale on amazon.com have actually sold! Does that sound like your spell was successful? It does to me! Another good reason to keep a log or journal of the specifics of your workings is that, if the rite is a good one, and it works — two or three months down the road — you can re-create the working years in the future, if you find yourself in the same situation. Even better, you can share the basics with a friend who might, say, be in a dire financial situation just like you were and isn’t sure what to do, magically speaking, to fix it. For a big working, I suggest you vary the details slightly in order to cover all the different aspects of the issue. For example, if you want to move across the country, try doing one working to choose your new location wisely and help you get yourself and your stuff there safely, another working to get a job that will take you there (or be waiting for you when you get there) , and still another working to help you find good friends and a congenial community once you arrive. They are all rituals to help you move across the country, but each one focuses on a different aspect of the moving process. How do you know whether or not you need to repeat the working more than once? Same way you get to perform on stage at Carnegie Hall: practice, practice, practice. Unfortunately, when you’re talking about magic and ritual, there is no box you can check like there is on your email to indicate message received and read. And it really doesn’t matter how carefully you prepare and how well you execute your working. Some things just aren’t to be – at least right now. Does this mean that your time and effort and energy were for nothing? No. It just means that energy has been “banked” somewhere, and is waiting for more favorable conditions to act. Patience is more than a virtue, here. It’s a necessity. Let me give you an example: ten years ago, I was doing regular intense workings in order to find love, or for love to find me. But no matter how many losers I hopefully dated, the time was not yet right. But the day I woke up (and I don’t mean in the morning) and realized that one of my oldest friends was Mr. Right, all that energy that I’d sent out and the Gods had stored for me fueled one heck of an intense courtship! Within 3 months I packed up and moved to where he was currently living. A year later we were married. As of this writing, we’ve been happily wed for over eight years. When the time is right for the working to “take” – be assured, it will! 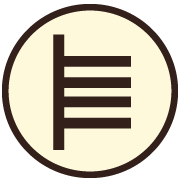 Man Rune is ruled by Mars, and thus, the house in which this rune appears will be a place of much physical activity. In general, the Man Rune quickens or speeds up certain actions and developments in the chart. But it is also the rune of recklessness, impulsive, and certain dangers.